I am so proud of myself that I didn't wait until the end of the month to design up a piece to celebrate this month's inspiration. But then I loved the painting and couldn't wait to dive in. I am sure that you can see why. All those swirls of color with the greens, pinks and terra cotta. Yep. Right up my alley. As soon as I saw this piece of art, I knew that I had the perfect focal for the design. I had just picked up at bead from Sue Beads as part of a destash that she was holding. Talk about serendipity. 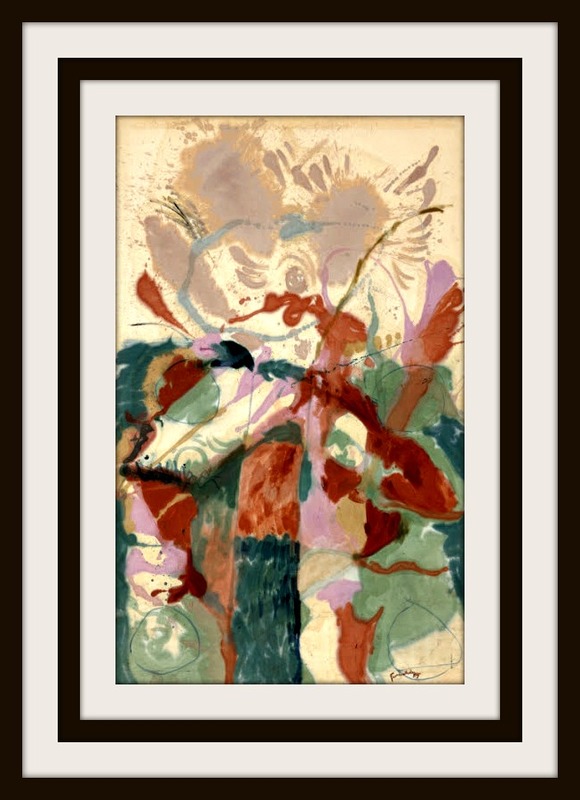 It had that free form feel that I was looking for as well as most of the colors in the painting. I wanted to make a necklace that was a bit different then my usual style so I decided to use four strands of waxed linen in sage to bring in more of the green colors. To add some pink in, I used some pink crystals which I knotted between some more lampwork from Studio Juls and Art by Lisi. I finished it all off with a sterling clasp that I have been hoarding for a few years. Because of all the neutral space in this necklace, it is fairly lightweight and perfect for the summer. 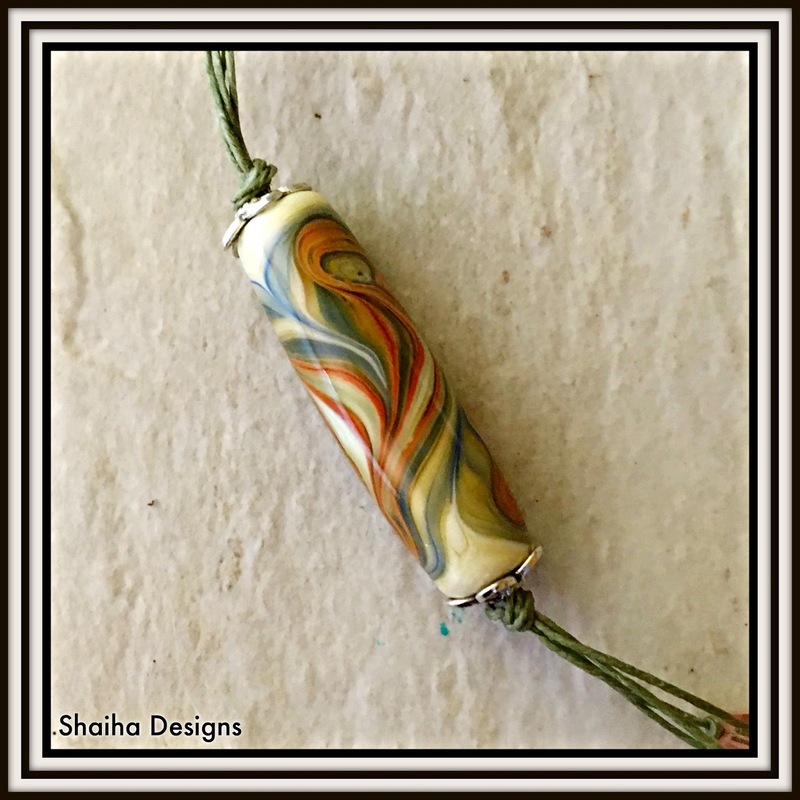 I think that I like this style and it's a great way to use up some of those orphan lampwork beads that I have been collecting. 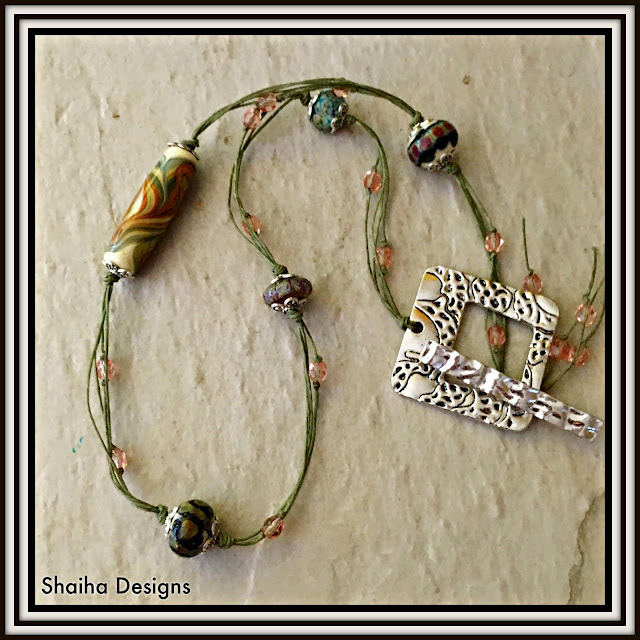 To learn more about the Art Bead Scene's monthly challenge, just click here. They have to be one of my favorite beady blogs and I have been following them for years. Beautifully done. I love the lightnesss oh this piece and the colors are dead on for jacobs ladder.